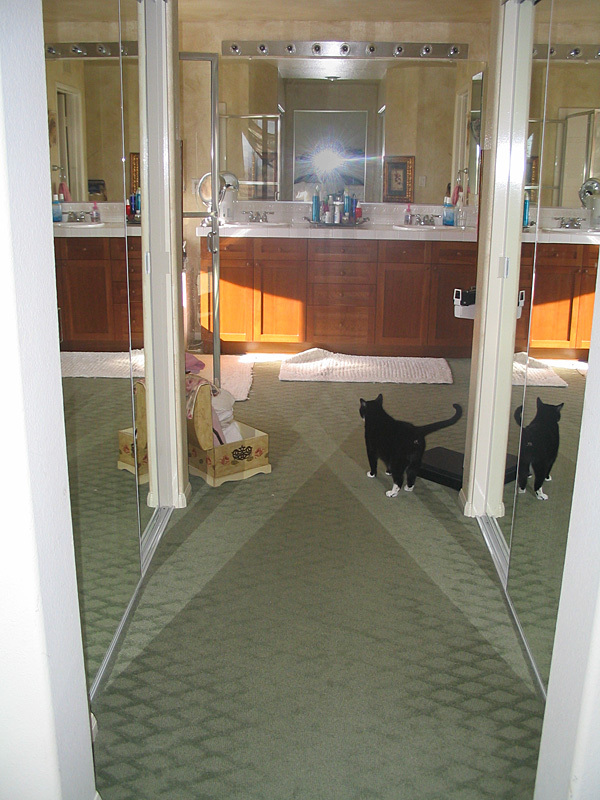 Outdated carpet, cabinetry, and a tiny tub forced this homeowner to treat herself to the ultimate in luxury makeovers. 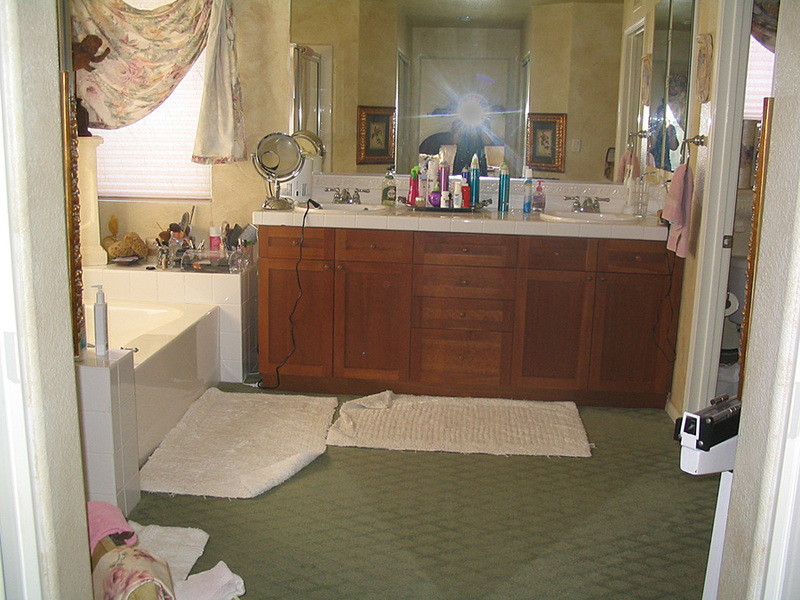 Her own pampered “bathing salon” was designed for her in a glamorous, updated take on French Country. 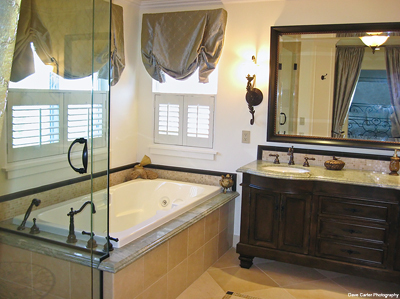 A much larger spa tub was added to an expanded shower area and all new flooring, cabinetry, lighting and plumbing fixtures were incorporated. 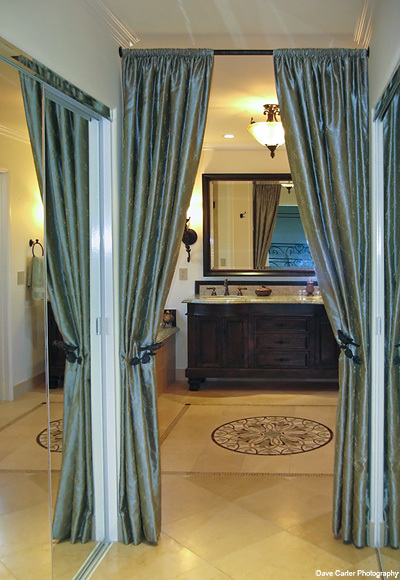 A peaceful palette of golden beige limestone accented with polished stones, blue-green accents in fabrics, granite and the floor medallion pair with oil rubbed bronze hardware and acanthus leaf motif lighting to create this “come home” oasis.